Only one voucher may be used per table. Opened in 2015, the Huntington shop specializes in small-batch, artisanal hot sauces, spicy rubs and bbq sauces as well a variety of snack and gift items, such as spicy honey and exotic jerkies. Featuring an in-store tasting bar, they will help you find just the right flavor, from mild to extremely hot. Full selection of over 600 hot sauces, bbq sauces and rubs Many of the hot sauces, bbq sauces and rubs sold at Some Like It Hot & Spicy come from small, independent New York and New Jersey purveyors who create their sauces in small batches using locally grown ingredients. 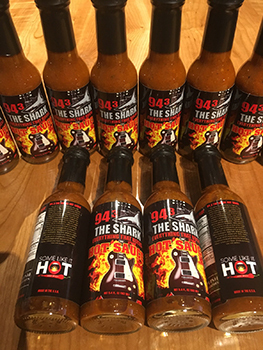 The online selection currently offers the top 50 hot sauces offered at Some Like It Hot & Spicy’s shop, all best-sellers and customer favorites, with more choices added monthly.